Albert Vaughn was the neighborhood guardian, an older teenager who would play ball with the younger kids and try to keep them safe from trouble, friends said. 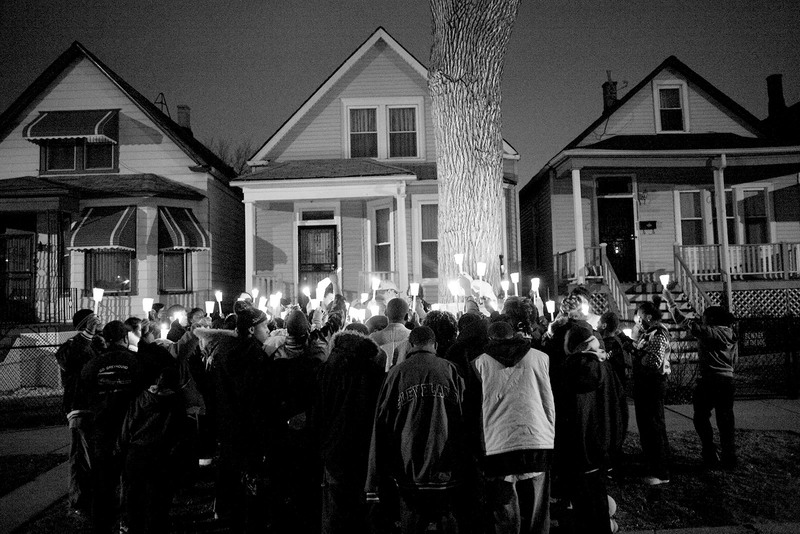 “If he was guilty of anything, he was guilty of always protecting these kids,” said Trualanda Fields, a neighborhood mother who was among the 50 people who gathered on South Throop Street in Chicago to pay tribute to the 18-year-old they called Lil’ Albert. They wept, sang, and chanted “Say no more,” a phrase Vaughn often used in response to someone’s request for help. • Describe what you see happening in this image. What purpose might gatherings such as this one serve?